Among all e-commerce platform, Magento is the most powerful in terms of SEO. It provides the ability to optimize site URLs, page titles, meta and ALT tags, headings, and other website elements out-of-the-box. Besides, there is an impressive selection of various third party Magento 2 SEO extensions designed to improve the default SEO capabilities. As for Magento 2, it provides even better SEO options. 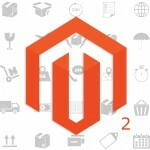 The new version of the popular e-commerce platform has been fully revamped, therefore we’d like to introduce you to Magento 2 SEO. Below, you can find a list of Magento 2 SEO extensions and features. You can find some more tips on SEO improvements here: DIY SEO. First of all, let’s explore some complex solutions that enhance all key Magento 2 SEO areas. The most reliable tools are gathered below. If you are looking for the best Magento 2 SEO extension, you’ve come to the right place, since below we shed light on the leading SEO solutions from the ecosystem. 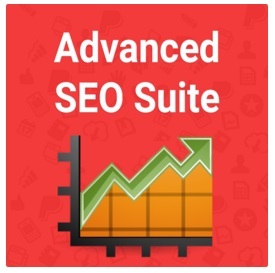 Complete SEO suites are gathered here, but if you are looking for some specific extensions, follow the link below this section. Robots.txt – this is a built-in Magento 2 feature, but Mirasvit writes that you can edit your robot.txt doc from the extension. 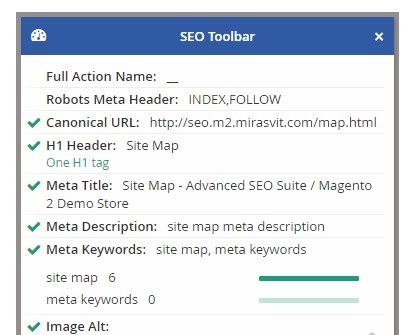 As you can see, Mirasvit provides the impressive coverage of Magento 2 SEO settings. Buy installing a single module, you can improve the existing store ranking enhancing its weakest points. Cross-Links – as in case of the previous tool, it is possible to fully manage cross-links. There is no need to replace targeted keywords with cross-links manually! Redirects – this feature is represented in the extension as well. Check our overview for further information or go straight to the extension’s page. Mageworx Magento 2 SEO Suite is also a complex solution that will essentially improve the default Magento 2 SEO. 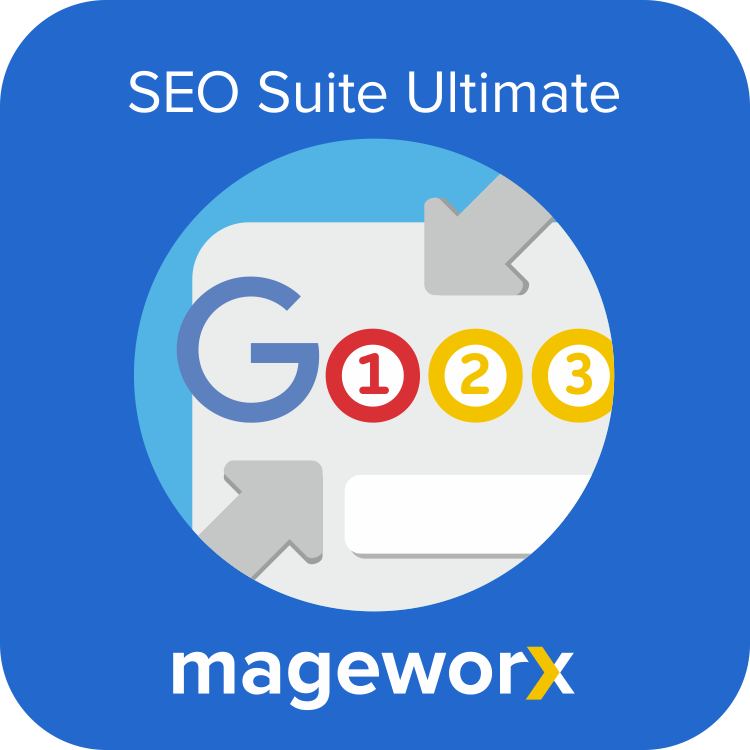 If you don’t know what to choose, we recommend you to read our Magento 2 SEO Suites Comparison (Mirasvit vs Mageworx). In the article, we strike both Magento 2 extensions together. Unique Product URL – forget about duplicate content issues! 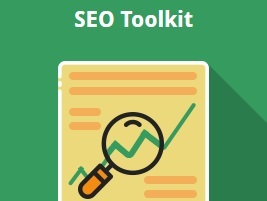 Amasty SEO Toolkit should be another reliable all-in-one SEO solution, so we are waiting for its release. Below, we describe all the aforementioned Magento 2 SEO features for more details. Since Magento 1.X offered quite robust product page optimization, only a few things have been added in Magento 2. Every product page still has the same meta tag settings with the ability to set up such standard tags as meta title, description, and keywords. As a Magento administrator, you can do this per each Store View; the same is the Product URL Key. As for new Magento 2 SEO features related to product page optimization, it is Product Fields Auto-Generation. The new option is can be utilized to form the product meta tags with the aid of available product attributes and predefined templates. You can find the Auto-Generation feature under Stores/Configuration/Catalog. The way you set up Canonical Link meta tag for your products in Magento 2 is the same as in 1.X. For instance, http://yourstore.com/samsung-2511.html?referal=13457 is referred to http://yourstore.com/samsung-2511.html. You can change your canonical link options under Stores/Configuration/Catalog/Search Engine Optimization. To create SEO-friendly URLs in Magento 2, you can include their categories path like in Magento 1 under the same options. 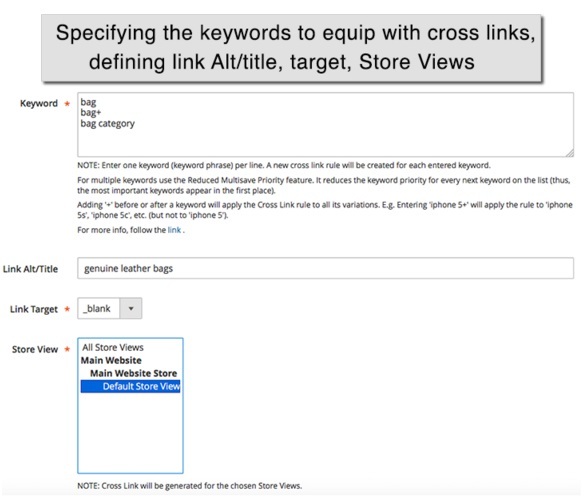 Magento 2 SEO features related to category page optimization include the same standard meta tags as title, meta description, and meta keywords, and you can set them up per each Store View. The same is a category URL key. But unlike 1.X, Magento 2 does not include available filter options, so the category page URL always remains the same. Pagination in Magento 2 is optimized with a canonical tag. As a result, URL points to the category itself. For example, such URL as http://yourstore.com/products.html?p=3 is pointed to http://yourstore.com/products.html. This is how the platform improves Magento 2 SEO. Layered navigation optimization in Magento 2 also based on a canonical tag. As a result, URLs of layered navigation pages point to their categories, so selected attributes are not added to meta tags. Thus, http://www.yourstore.com/t-shirts/mens-t-shirts.html?color=black&manufacturer=nike&price=10-50 is referred to http://www.yourstore.com/t-shirts/mens-t-shirts.html improving Magento 2 SEO. An XML sitemap now has a bunch of improvements. Thus, you can specify the priority and frequency for product, category, CMS, and other pages separately. Furthermore, the new Magento 2 SEO functionality provides the ability to add your XML sitemap to a robots.txt file automatically. Besides, the new version of the platform provides the ability to add images, use the Sitemap Index, and define parameters necessary for splitting items between various XML files. The ability to add rich snippets is the most anticipated Magento 2 SEO feature. 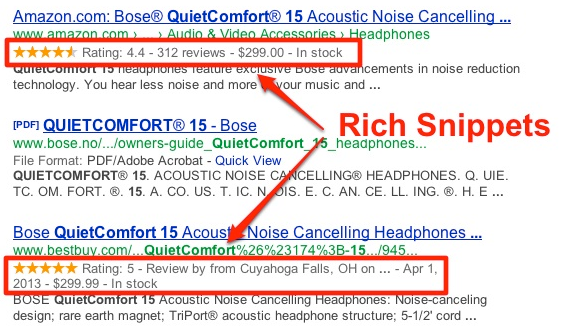 With its help, you can easily show structured markup data from your e-commerce website within Google results. The new improvement helps to improve both SEO and CTR. And it is enabled by default. Another important Magento 2 SEO feature is the ability to edit a robots.txt file in the admin panel under Stores/General/Design. Alternatively, you can utilize our optimised robots.txt for Magento 2 Community Edition and Magento 2 Enterprise Edition. Grab the extension for free from GitHub: magento2robotstxt. Schema.org is now added to a default Magento 2 template. It’s vocabulary is used for marking up website content with metadata about itself. 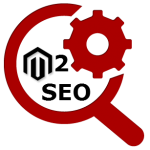 This improvement helps search engines get a better understanding of your Magento website. Thus, Magento 2 SEO is improved even more. Another crucial Magento 2 SEO feature is the ability to use product labels. Now, you can not only draw your customers attention but also improve SEO by applying labels to product images. Such options are available in 1.X, but only via third-party extensions. Related products, Up-sells, and Cross-sells are three types of product relations in Magento. Up-sell for example is a product that you’d like your visitor to purchase instead of the one that is already chosen, so it appears in the shopping cart. Such product is always pricey and has better quality. Related products appear on the product page and can be purchased additionally to the product that the customer is viewing. As for cross-sells, they appear on product pages and in the cart being products related to an impulse buy. All three types are optimized so you get better Magento 2 SEO. 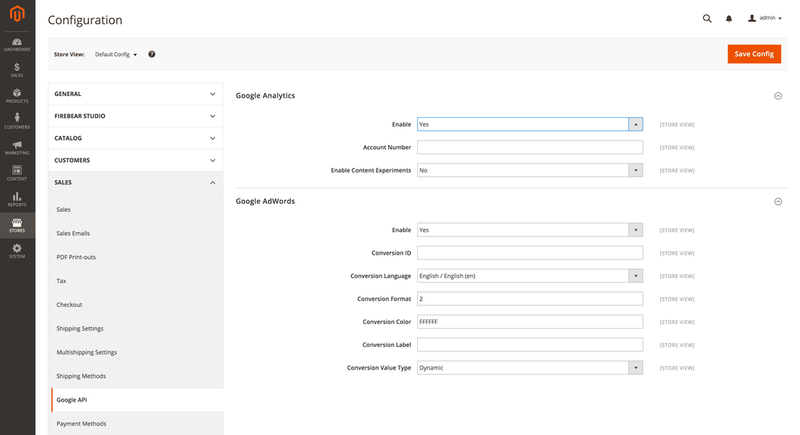 Universal Analytics adds a set of options aimed at collecting and organizing data for better understanding of your customers’ behavior and consequently improving current Magento 2 SEO. But before Google Analytics can report e-commerce activity for your Magento store, it is necessary to enable e-commerce tracking for your website which is significantly simplified in case of Magento 2. As for conversion tracking, it can help you find out how effective your keywords engage your customers to perform certain actions. Therefore, it is another important SEO improvement introduced in Magento 2. All three features are available by default, which is a great SEO improvement introduced in Magento 2. Google Tag Manager provides the ability to create and update tags for your Magento website any time you want, so you get better Magento 2 SEO opportunities. Please note that this feature is available only for Enterprise Edition merchants. It is also necessary to mention that all SEO settings from 1.X are still at their usual places under Stores/Configuration/Catalog/SEO. The default Magento 2 SEO capabilities have been essentially improved in comparison to the first platform version, so it is more powerful than its predecessor. If the default SEO options are not enough for satisfying your business needs than you can use various third-party solutions. Note that the extensions listed above are the most robust in the whole ecosystem and cover lots of different areas. At the same time, there are lots of standalone Magento 2 SEO modules designed for solving special needs.